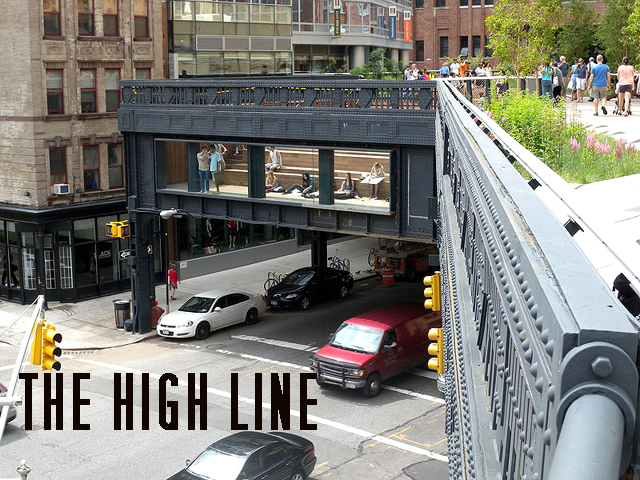 The High Line was originally a portion of the New York Central Railroad's West Side line in Manhattan. It opened to trains in 1934 and originally ran from 11th Avenue/34th street to St John's Park Terminal at Spring street. The railroad was designed to run through the center of blocks, rather than the avenue. 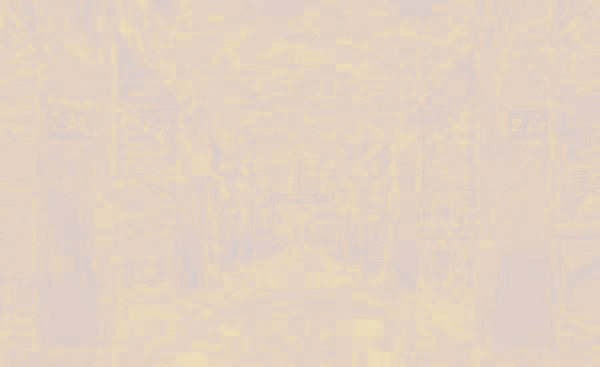 It connected directly to factories and warehouses allowing trains to load and unload cargo inside the buildings. Prior to the High Line, the City of New York authorized street-level railroad tracks down Tenth Ave in 1847 to ship freight. For safety, the railroads hired men called the "West Side Cowboys" to ride horses and wave flags in front of the trains. However, so many accidents occurred between freight trains and other traffic that Tenth Avenue became known as "Death Avenue". After years of public debate about the dangerous conditions, the state of New York, and the New York Central Railroad agreed on the West Side Improvement Project in 1929. It was a large project conceived by Robert Moses that also included the construction of the West Side Elevated Highway, a 13-mile project which eliminated 105 street-level railroad crossings and added 32 acres to Riverside Park. The High Line began to decline in the 1950s, due to the growth of interstate trucking industry which led to a drop in rail traffic throughout the nation. By 1960, the southernmost section of the High Line was demolished due to low use. This section from Gansevoort Street which ran down Washington Street as far as Spring Street just north of Canal Street was almost half the line. The last train on the remaining part of the line was operated by Conrail in 1980. In the mid-1980s, a group of property owners with land under the line lobbied for the demolition of the entire structure. A rail enthusiast challenged its demolition in court and tried to re-establish a rail service again. But the north end of the line was disconnected from the rest of the national railroad system because they expected to tear it down. Because of the construction of a connection to Penn Station in 1991, new tracks were routed to the Empire Connection tunnel. As a result, a small section of the High Line in the West Village, from Bank to Gansevoort Streets was taken apart in 1991, despite objections by people who wanted to keep the High Line. 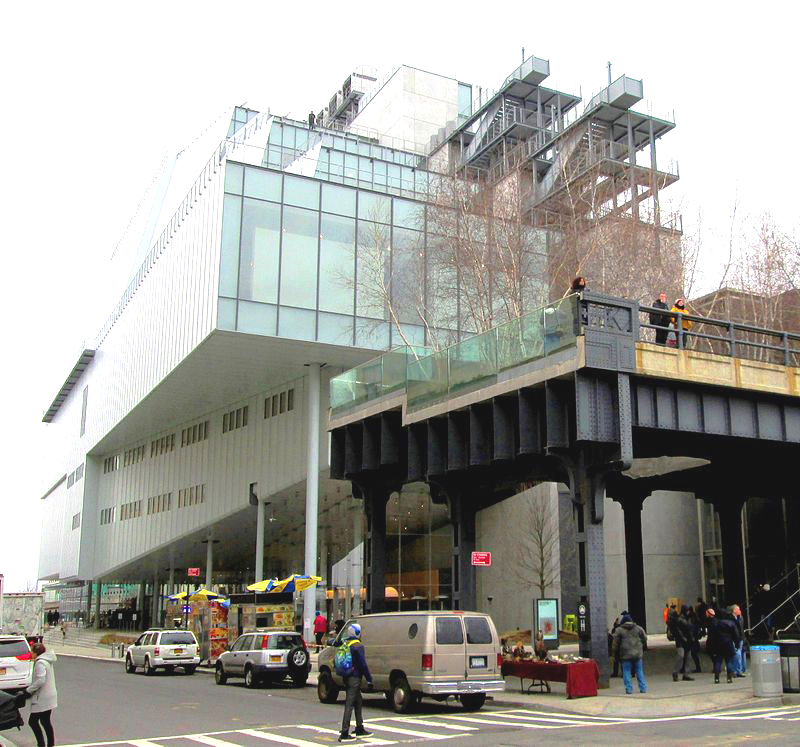 In 1999, the nonprofit organization called Friends of the High Line was formed by Joshua David and Robert Hammond, residents of the neighborhood that the line ran through. They advocated for the line's preservation and reuse as public open space, so that it would become an elevated park or greenway. On June 13, 2005, the U.S. Federal Surface Transportation Board issued a certificate of interim trail use, allowing the city to remove most of the line from the national railway system. On April 10, 2006, Mayor Bloomberg presided over a ceremony that marked the beginning of construction. The southernmost section, from Gansevoort Street to 20th Street, opened as a city park on June 8, 2009 which includes five stairways and elevators at 14th Street and 16th Street. Around the same time, construction for the second section began. On June 7, 2011, a ribbon was cut to open the second section from 20th Street to 30th Street, with Mayor Michael Bloomberg. In 2011, CSX Transportation, the then-owner of the northernmost section, from 30th to 34th Streets, agreed in principle to donate the section to the city, while the Related Companies, which owns the development rights to the West Side Rail Yards, agreed not to tear down the spur that crosses 10th Avenue. Construction on the final section was started in September 2012.